Código del motor: 810-02/97 | Fabricados después de: 8 / 1975 | Fabricado antes: 7 / 1977 | Cantidad: 4. Nissan Bluebird 910 [1980-1984] berlina 1.8 (gasolina de 65KW 88HP 1770ccm). 135_ Variable [1979-1986] raíces de Renault 18 1.4 (1397ccm 64HP 47KW gasolina). FIAT 147 1.0 37 < abarcan clase = notranslate ' >-04.1980 < abarcan clase = notranslate ' > 12.1995. FIAT 147 1.0 37 < abarcan clase = notranslate ' >-10.1976 < abarcan clase = notranslate ' > 12.1995. Bujías CW78LP Magneti Marelli. Spark Plug Magneti Marelli CW78LP. MPN CW78LP. Part_Number CW78LP. Manufacturer Magneti Marelli. FabricanteMAGNETI MARELLI. Core Información. EAN 5053557016005. Enchufes de chispa de Magneti Marelli F7LC. Enchufe de chispa Magneti Marelli F7LC. Part_Number F7LC. Manufacturer Magneti Marelli. FabricanteMAGNETI MARELLI. EAN 5053557017644. Sub Type Ignition. Type Spark Plugs. Inhalt 1x Zündkerze. Zündkerze 1-Masseelektrode. DENSO W20EP-U. Vor dem Kauf. Nach dem Kauf. Qualitätsprodukt - Markenware in Erstausrüsterqualität. 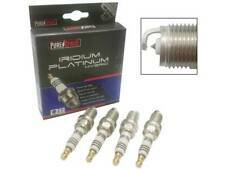 Denso Spark Plug W20TT reemplaza BUR6ET 267700-6310 8819336. Manufacturer Part Number W20TT. Part_Number W20TT. DENSO ha establecido el estándar para la tecnología de la bujía desde 1959. Manufacturer Denso. Bujía Denso W20EP-U. Part Manufacturer DENSO. Acerca de nosotros. Nos enorgullecemos de un servicio de calidad y estamos encantados de abordar cualquier preocupación. Sprite Mk1. Austin Healey. NOT included. Sprite Mk 2. Austin Healey. It should not be altered / tampered with/used. NOT included. Austin Healey Sprite. Spark Plugs. know your spark plugs - original symbols. SET of Four. NOT included. First Prefix ~ Thread Size & Reach (A to Z) ~N12Y. Austin Healey 3000. Spark Plugs. know your spark plugs - original symbols. SET of SIX. Basic Number (1 to 99) ~ Heat Range ~N12 Y. 1-25 ~ Automotive, small engine & ordnance. Sprite Mk3. Austin Healey. as fitted to the. It should not be altered / tampered with/used. approx 35mm long x 20mm High. NOT included. Sprite Mk3. Austin Healey. as fitted to the. It should not be altered / tampered with/used. NOT included. Sprite Mk2. Austin Healey. as fitted to the. It should not be altered / tampered with/used. NOT included. Austin Healey Sprite. Mk II & III. Spark Plugs. know your spark plugs - original symbols. SET of Four. Basic Number (1 to 99) ~ Heat Range ~N12 Y. NOT included. First Prefix ~ Thread Size & Reach (A to Z) ~N12Y. First Prefix ~ Thread Size & Reach (A to Z) ~N12Y. Austin Healey Sprite. Spark Plugs. know your spark plugs - original symbols. Frog/Bug Eye. SET of Four. as used on the. NOT included. First Prefix ~ Thread Size & Reach (A to Z) ~N12Y. Austin Healey Sprite. Mk II & III. Spark Plugs. know your spark plugs - original symbols. SET of Four. Basic Number (1 to 99) ~ Heat Range ~N12 Y. It should not be altered / tampered with/used. Part_NumberZ20 / 0002335701. BERU Ultra Spark Plugs. The Green Spark Plug. Ignition > Spark Plugs. Spark Plug1 - Earthed Electrode. Cross ReferenceR 42 CXLS,R 42 XLS,0 242 235 511,0 242 235 529,0 242 235 537,0 242 235 663,0 242 235 909,1 Super Plus,N 02,WR 175 TR 30. Spark Plug : 1 - Earthed Electrode. VOLVO 3344898-6. VOLVO 271409. VOLVO 270746-1. VOLVO 1367528. VOLVO 1346541. TALBOT 00 792 270 42. TALBOT 00 00 VSP 118. Bujía de níquel denso W20EP-U / W20EPU / 3043 reemplaza BP6E BP6ESZ VL4. 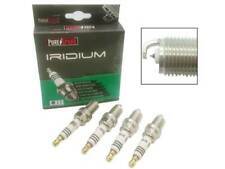 Denso Nickel Spark Plug W20EP-U / W20EPU / 3043 Replaces BP6E BP6ESZ VL4. Manufacturer Part Number W20EPU. Replaces BP6E BP6ESZ VL4 V-line 4. EAN 0042511047099. Mazda 1UX418110. SKU DE-IW20TT. VW 101000006AF. VW 101000002AE. SUZUKI 99000-79L 65-010. SUZUKI 99000-79L 65-009. SUZUKI 99000-79 K 73-W20.